Make sure to follow these rules when giving rides in Virginia, and to keep an eye on your email for important news and updates from Lyft. If you're applying to become a driver in Virginia, check out the application steps. Never use your mobile device to enter information or communicate with a passenger in any way while your vehicle is in motion. If you need to enter an address, place a call, write a text message, or adjust a setting in your phone, do so when your vehicle is at a complete stop in a legal parking spot or turnout. Help us keep Virginia's roads safe and friendly! We have a zero-tolerance drug and alcohol policy for drivers — in Virginia and nationwide. To report suspicions that a Lyft driver in Virginia may be driving under the influence of alcohol or drugs, please contact law enforcement immediately by dialing 911. You may also contact the Virginia DMV at 804-367-6504. If you have been charged or arrested for a crime or driving offense, Virginia law requires you to let us know. As a Lyft driver, you are only permitted to conduct commercial transportation activity through our digital platform. Transporting passengers for pay without the ride being logged in our system is not only illegal, it presents a serious safety hazard. Digital tracking of app activity acts as a strong safety provision for drivers and passengers, and insurance coverage extends only to activity taking place on the digital platform. If a curious party asks you about Lyft, or wants a ride, take the opportunity to help them set up an account so they can experience the Lyft platform as it is intended to be. Thank you for helping keep the Lyft platform safe for all users. In Virginia and elsewhere, we recommend drivers consult with a tax professional regarding possible financial or contractual consequences of operating as a Lyft driver when it comes to matters such as tangible personal property tax liabilities, personal auto liability insurance coverage, and financing agreements with vehicle lien holders. Lyft vehicles in Virginia must not be titled as salvage, non-repairable, rebuilt or any other equivalent classification. If your insurance, vehicle registration, or driver's license status changes in any way, we need updated records to ensure full compliance with Virginia law. Always update your documents via the Dashboard immediately after receiving them. 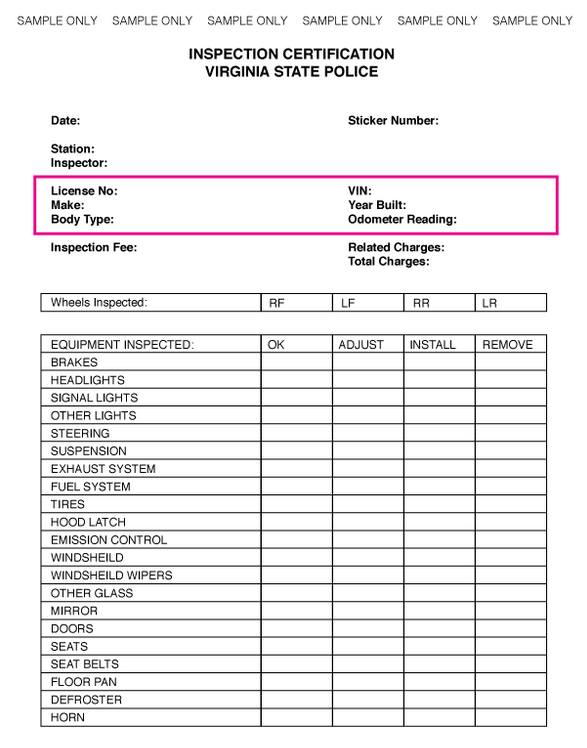 Your vehicle inspection can be from Virginia, Maryland, or D.C.
A business license may be required for Virginia Beach Lyft drivers, according to the City’s Commissioner of the Revenue. Find out whether you need one: Call 757-385-4515 or visit the website. 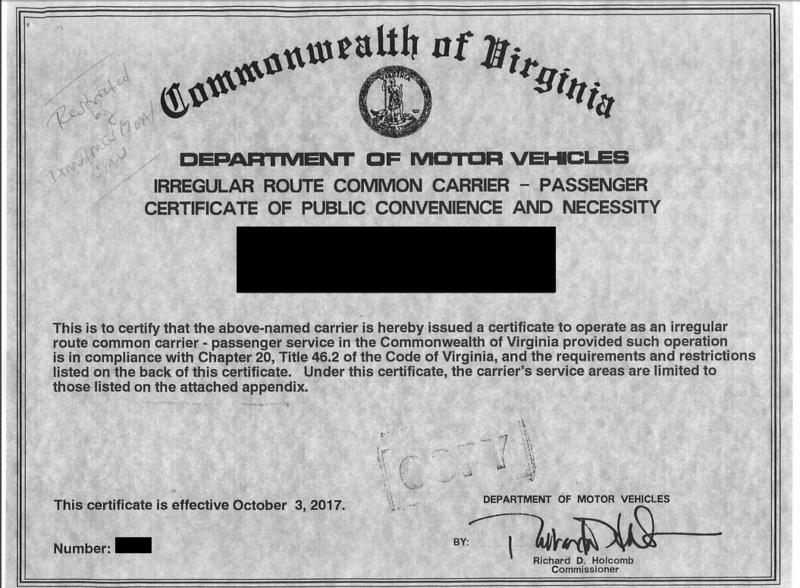 If you have a for-hire license plate in Virginia (license plate starting with 'H', 'HAE' or 'HAD'), you must have a Certificate of Public Convenience and Necessity as a common carrier and commercial insurance (min. $350k) in order to operate on the Lyft platform. To send in your Certificate, please take a photo of it and attach it to a message to us. **If you were already required to upload a Washington D.C., Virginia, or Maryland inspection when you became a driver, you do not need to send it in again. Scroll up for details and a sample image. Moving from Virginia to a different state? Find your new market here to see what steps you'll need to take.